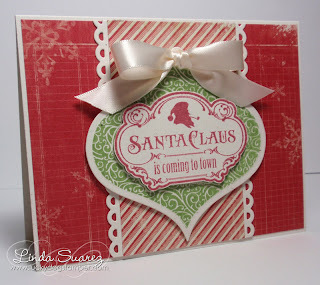 A quick post with another Christmas card using the awesome stamps from Waltzingmouse. This is my submission for the Waltzingmouse Christmas Card Challenge for August. 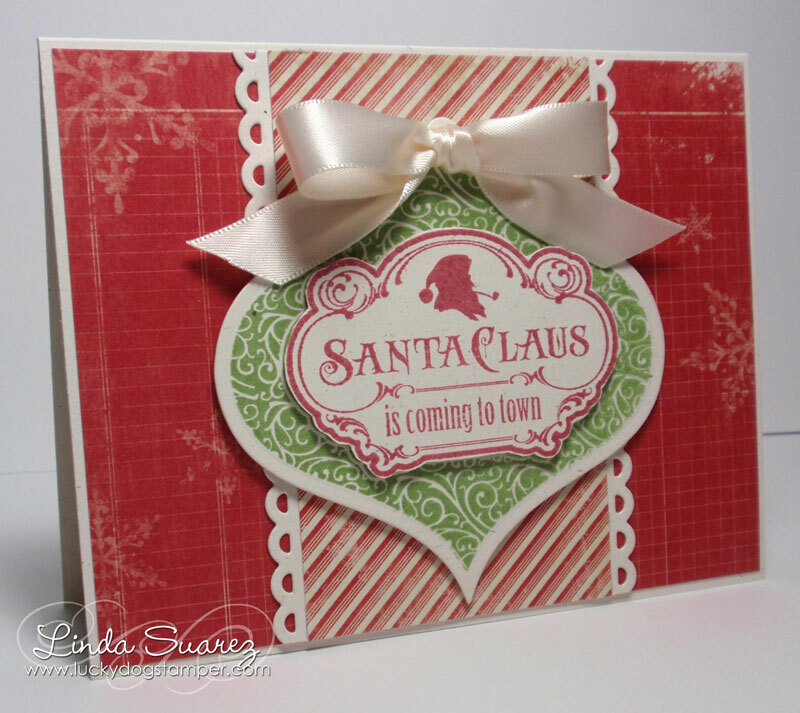 This challenge is to take a Christmas carol/song or a phrase from that tune and incorporate it into your card. Awesome card Linda! I love your paper and your bow is perfect!!! WOW!! Linda, what a beautiful Christmas card and the bow if stunning!! Freshly Made Sketches #52 - One Year Anniversary!